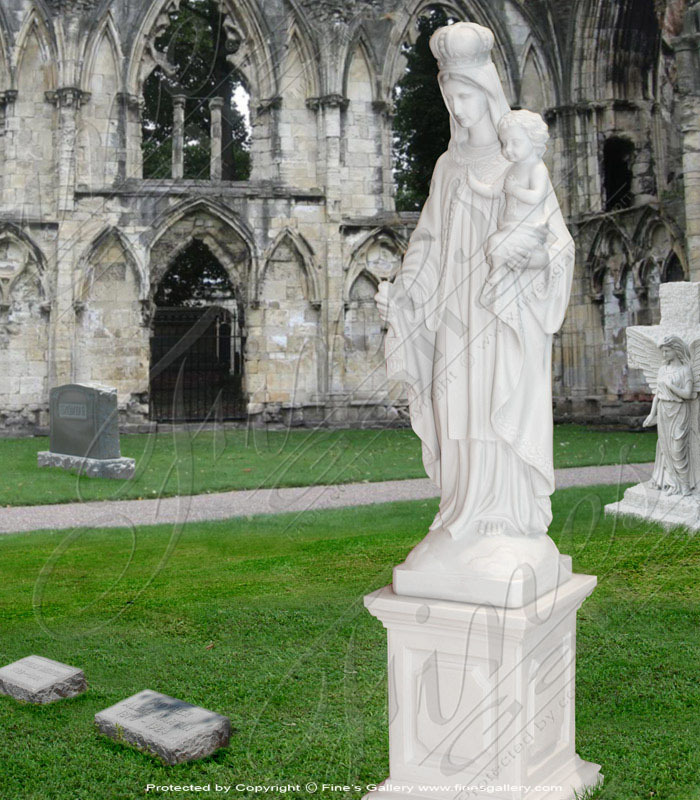 A five foot tall version of Madonna of the Streets carved from one solid block of pure white marble. All of our statues are available to be carved from 2 feet up to larger than life in scale. 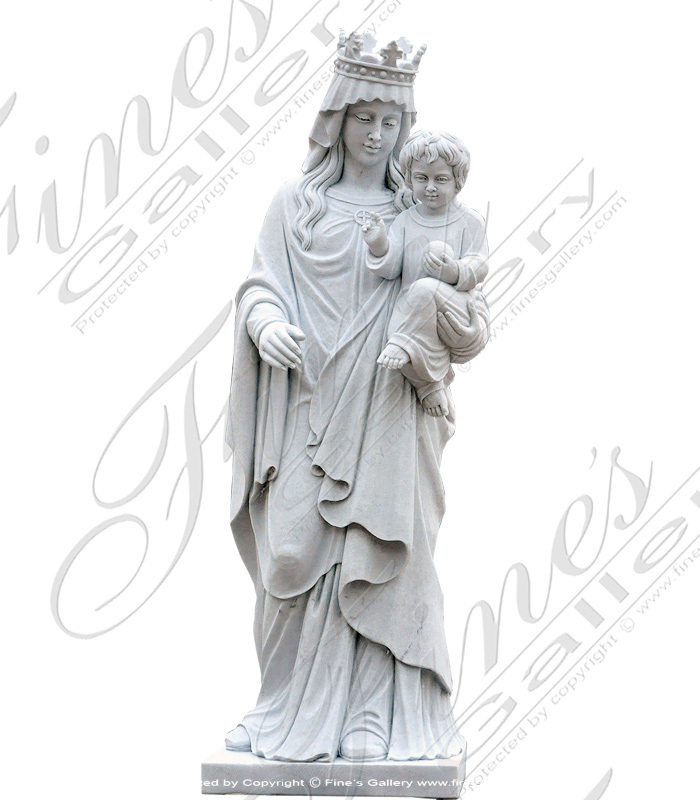 A breathtaking hand carved marble Our Lady of Victory Marble statue. 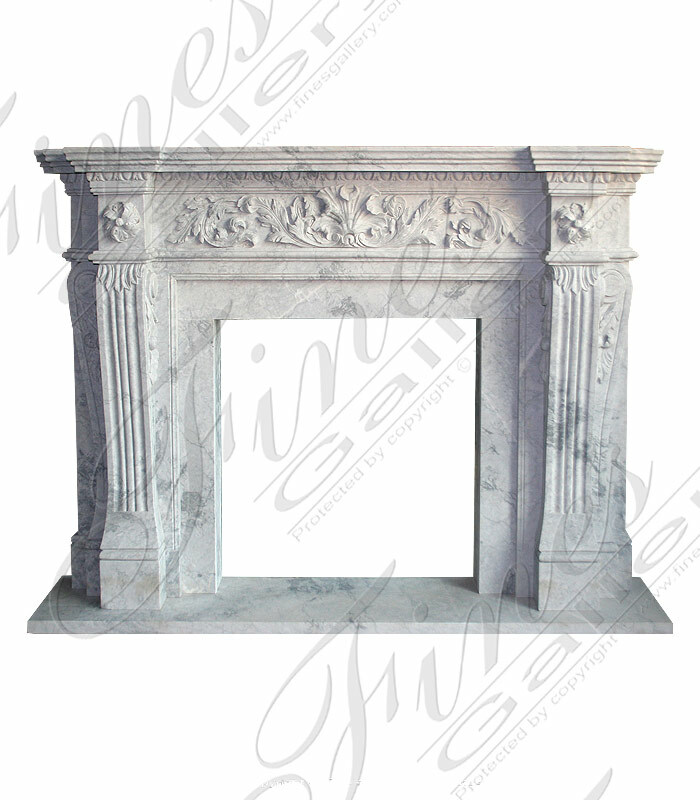 Shown in pure white marble measured 60 inches in total height. 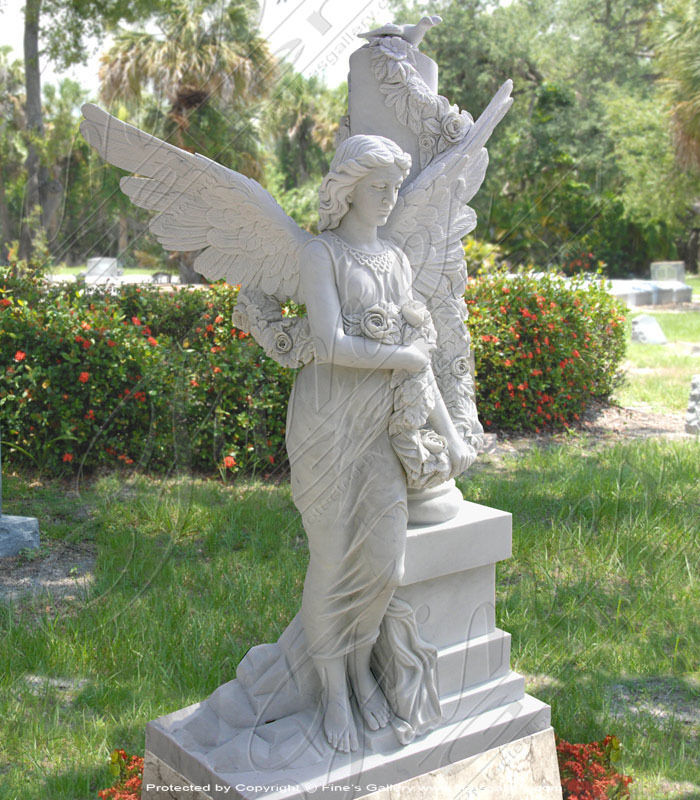 Total customization is available on all of our religious statuary. 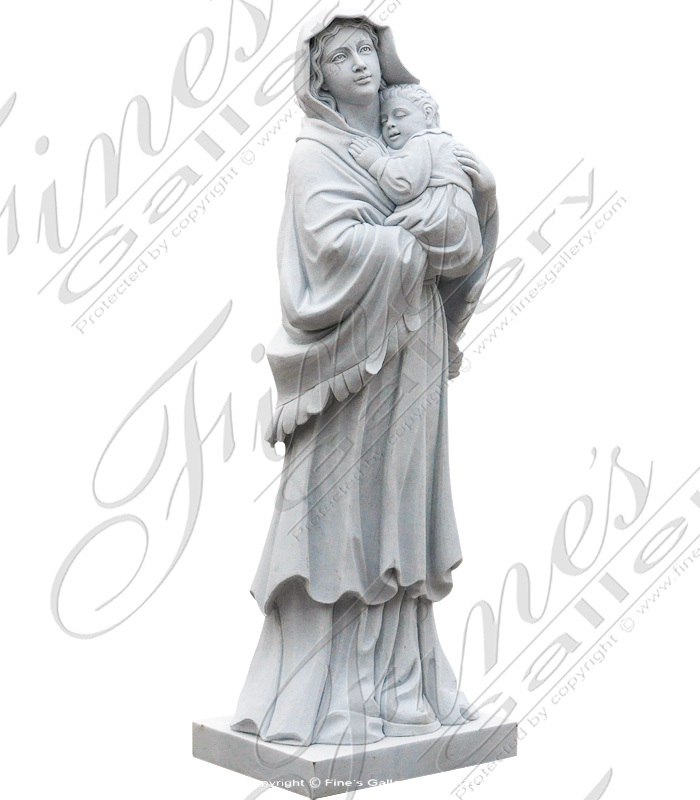 This beautiful statue is sculpted from pristine white marble and portrays Mary as the Queen of Heaven holding the infant Christ in her arms. Incredibly realistic and detailed with artistic mastery, this piece leaves impressions of grace and purity. 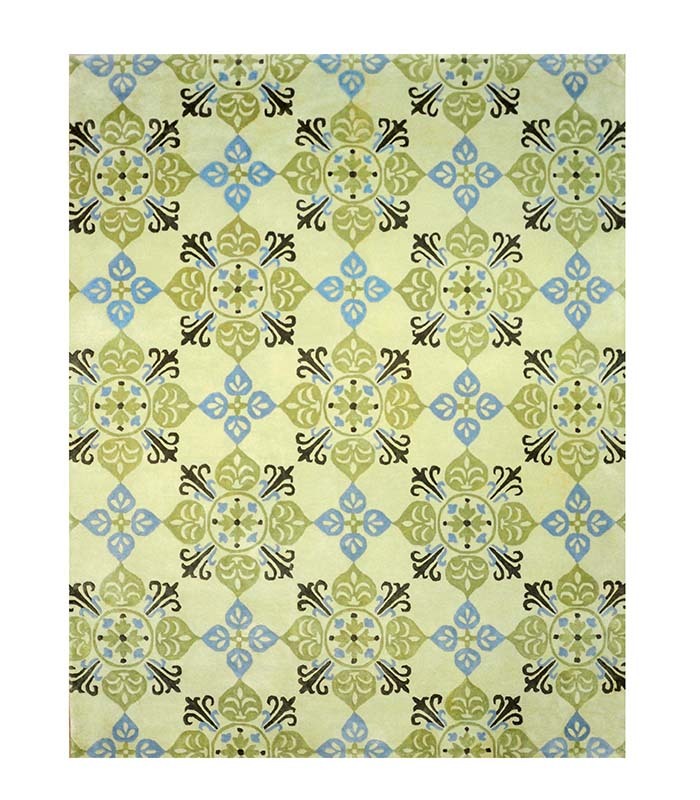 Soft contemporary rug in hand tufted New Zealand wool in greens and blue accents. Please call 1-866-860-1710 for more information. 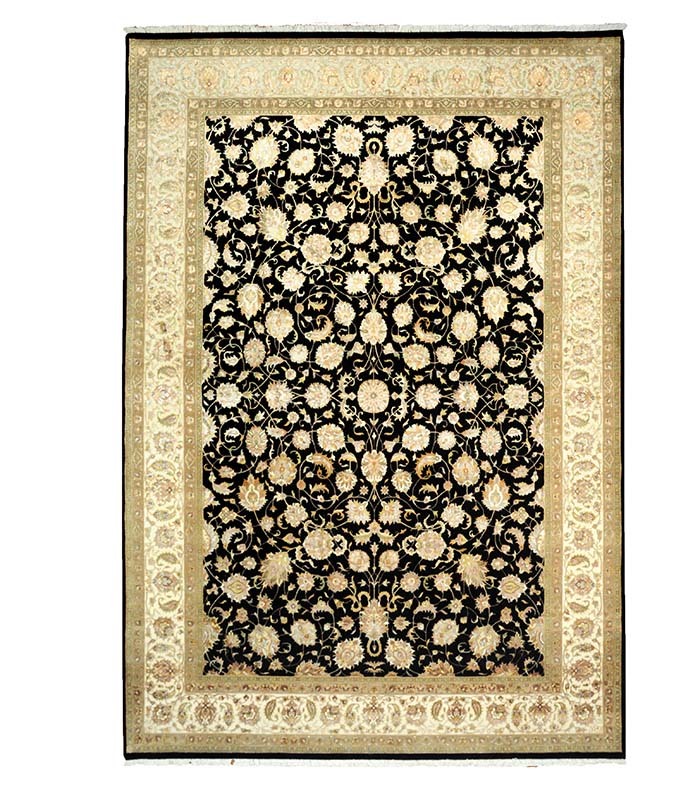 Hand knotted wool ans silk rug in a traditional pattern in rich black with earth tones and a ivory border. Please call 1-866-860-1710 for more information. 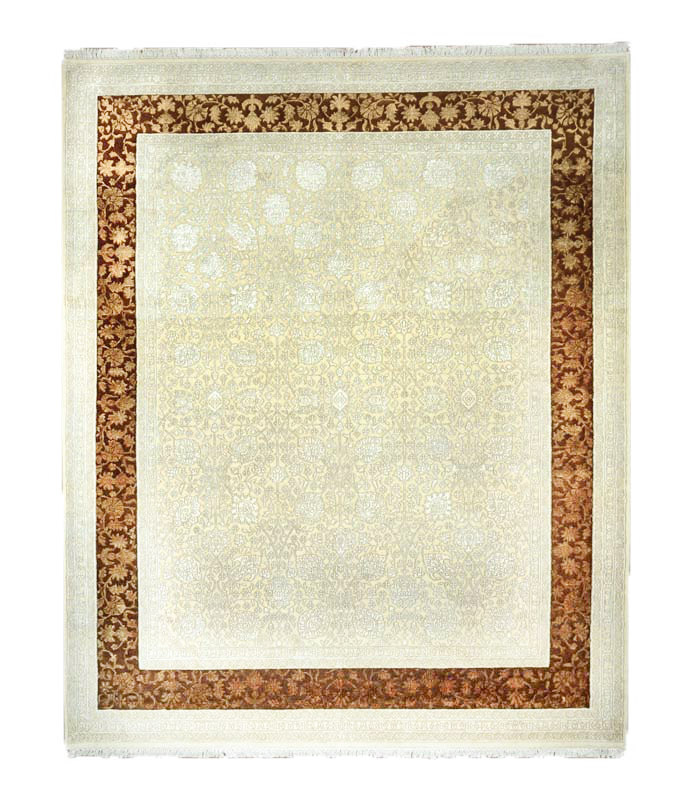 Cream in cream hand knotted wool and silk with a rich brown border. Please call 1-866-860-1710 for more information. 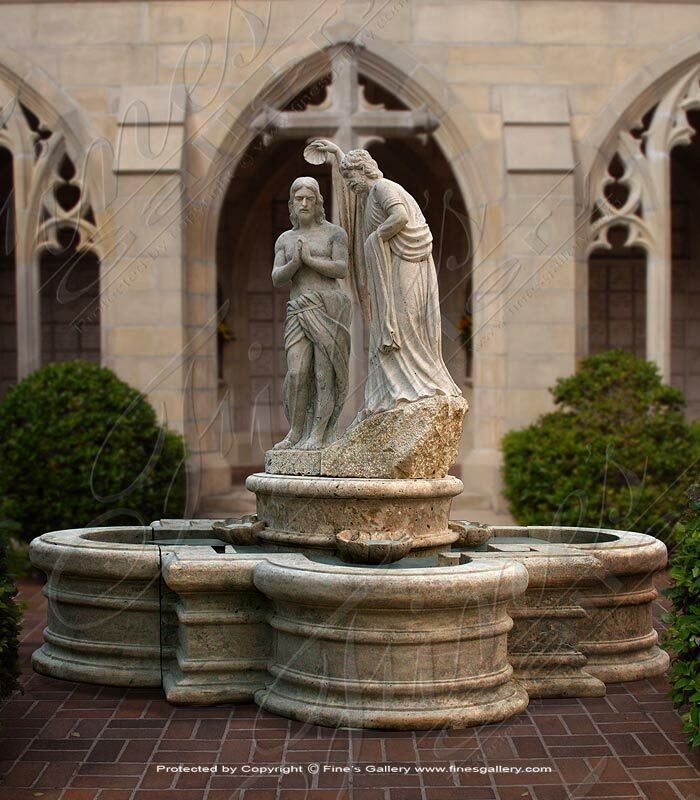 This beautiful fountain depicts Christ being baptised by John the Baptist. This multifunctional fountain also acts as a baptismal font. Available to be produced at the scale you require. Contact us today for a custom quote. 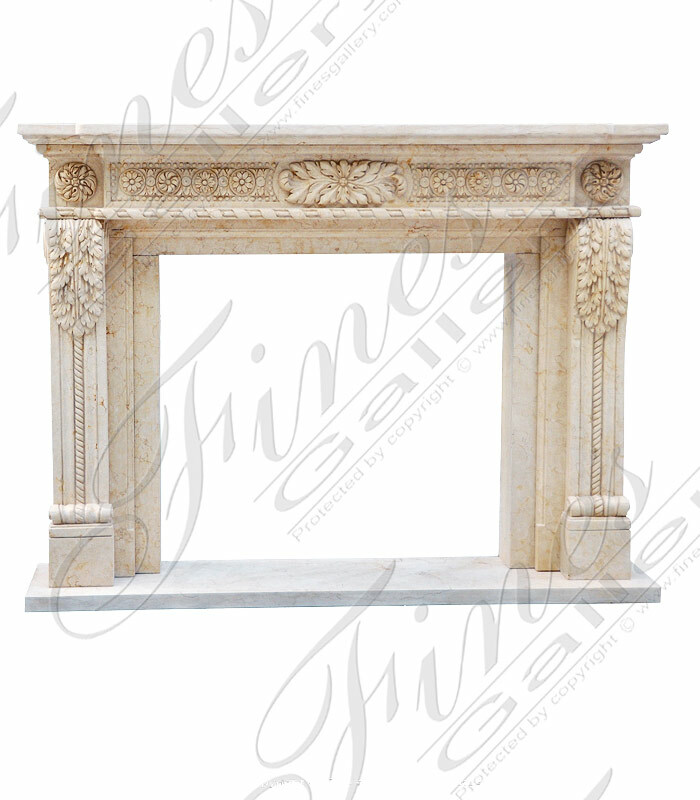 Majestic gold marble enhances the beauty of this enchanting fireplace design. 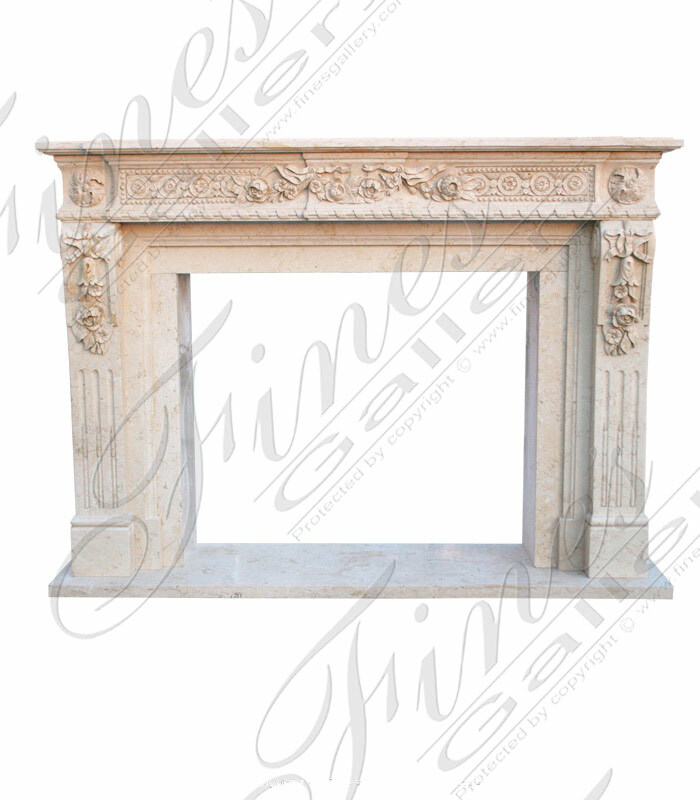 A square firebox opening is framed by a decorative sloping design with ornate floral and leaf artistry. Contact us today for more information or to customize this piece. 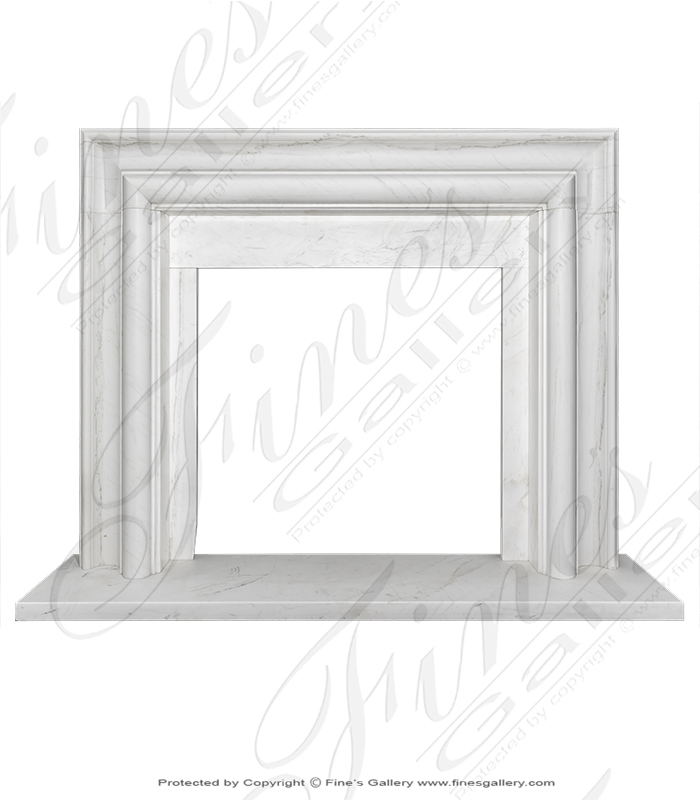 Gorgeous white marble highlights every artistic detail of this impressive fireplace mantel. 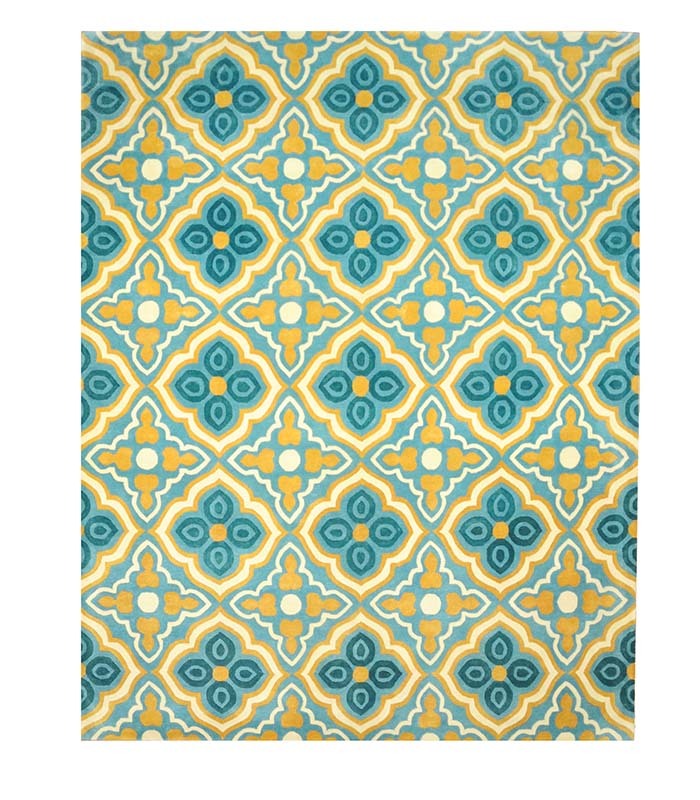 An elegant square design is enhanced with hand carved botanical ornaments across the frieze. 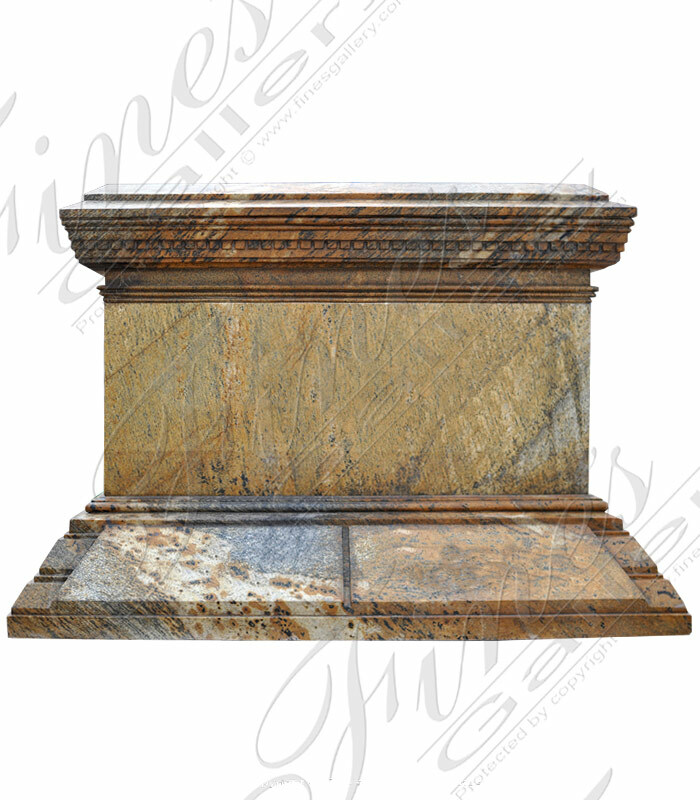 Made from genuine marble with natural veining throughout. 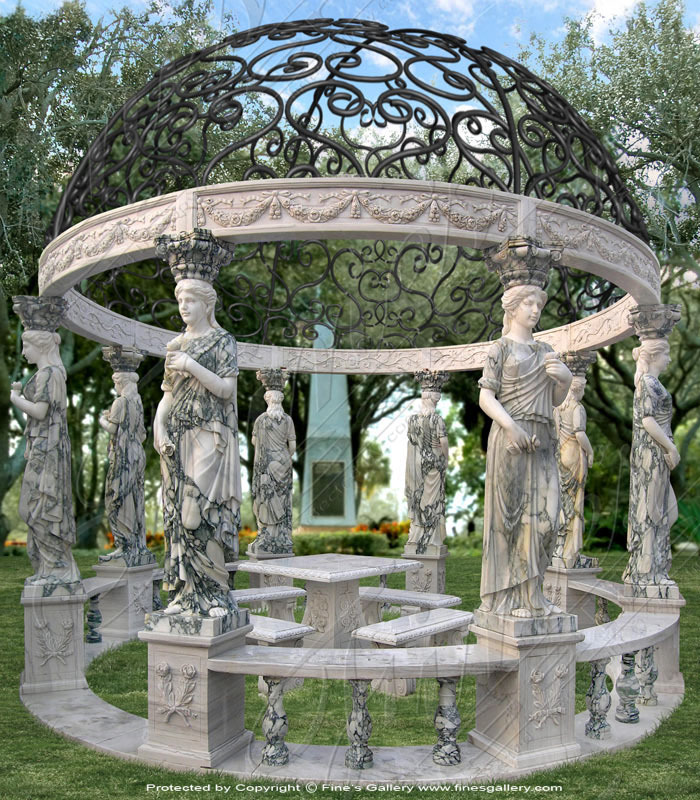 A masterpiece for your estate, this stunning gazebo features several life-size female statues dressed in green and white gowns of marble and matching balustrades around a circular design. The women form columns that support a wrought-iron ceiling. A masterpiece of perfected elegance, this outstanding surround features just the right touch of fine artistry. A beautiful rectangular cut of marble is accentuated with delicately hand carved botanical artwork across the frieze and balanced sides. 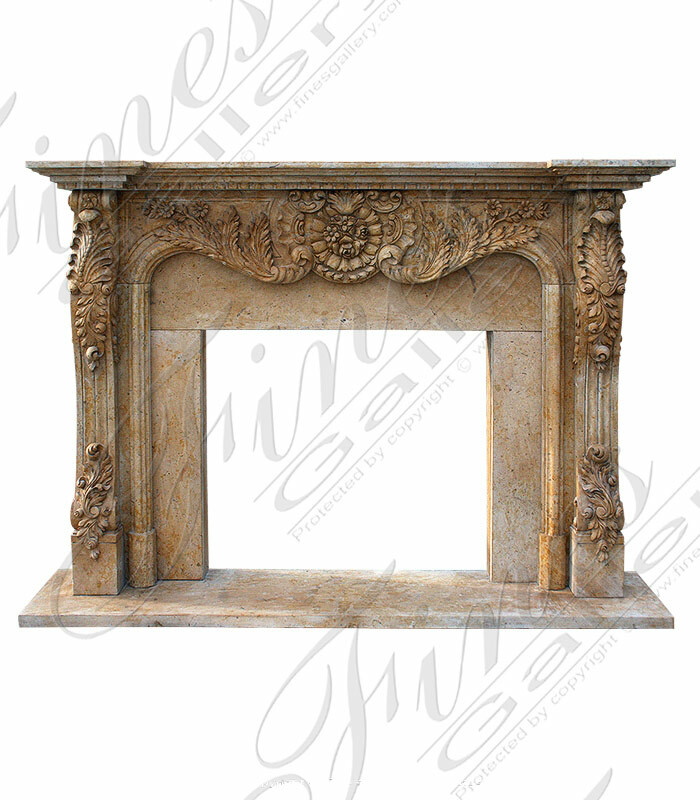 This elegant square shaped fireplace surround is enhanced with the subtle sophistication of finely hand carved floral decor across the frieze and large acanthus leaves on matching sides. Made from beautiful marble in delicate beige and gold tones. Incredibly life-like and beautiful, this masterful statue depicts a standing angel holding a wreath of roses. Hand carved from immaculate white marble to portray every enchanting detail of her beauty and to stand the test of time. A fine memorial.